There are moments in a man’s life when fate intervenes. 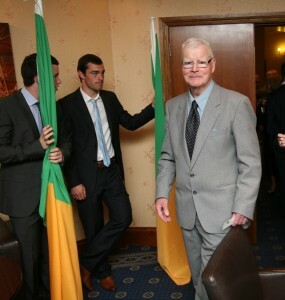 One such moment for Liam McGrath was back in 1958 when Liam Mac went for one of his usual walks. He headed towards St Mary’s Park via the old railway line. A group of young players were playing in St Mary’s Park, among them Tony Loughman, Pat Flanagan, Tom McManus and others. He stopped to watch them and was impressed by what he saw. He had spotted them but they also had spotted him. They were young minors at the time and were looking for a manager. Tony Loughman acted as spokesman and approached Liam and asked him if he would “take them on” and manage them. 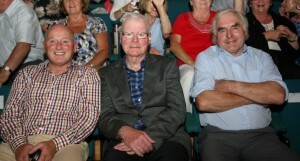 That chance meeting was to change the fate of the Castleblayney Faughs and in many ways the life of Liam McGrath. It was a story Liam often related. Liam was of course no stranger to these young lads. He had his own strong football pedigree and was a member of the last Blayney team to have won a senior championship when he held down the full back position in the 1946 final when Blayney defeated Killanny. 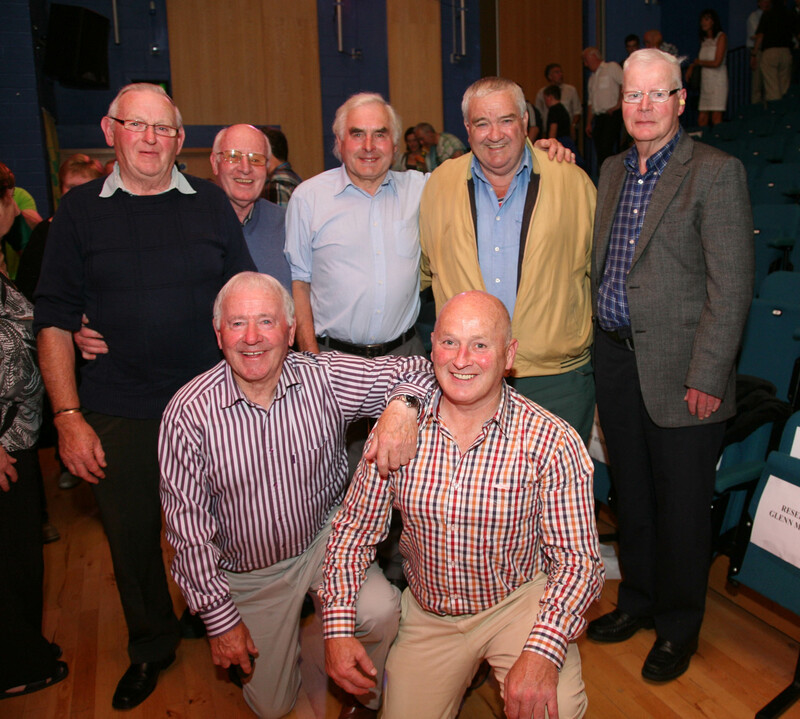 The McGrath name was also synonymous with Castleblayney Faughs. Liam’s father , Willie McGrath was a founding member of the club back in 1905 and served as a player and official while his brother Charlie was a also a very accomplished player at club, county level and provincial level. Liam also served as treasurer of the club from 1952 to 1957 retiring, as he thought, from his close-up engagement with the Faughs club. He had by then begun to make a name for himself as sports correspondent with the Monaghan Argus and later with the Dundalk Democrat. It was as a GAA ringsider and commentator he saw himself and he saw his future contribution to Gaelic football. Indeed he continued to write his sports column right up to 1986. But fate had another role lined up for him. His gift of language, turn of phrase and highly descriptive writing made his copy one of the most popular sports columns in the area at a time when access to matches was much less convenient and accessible than today. Sports fans looked forward to reading what Liam Mac had to say and players looked forward to getting “a mention”. Added to that was his analytical skills, his instinctive love and passion for Gaelic Football which meant that what he wrote came from the heart as well as the head. Words flowed from his pen with ease and eloquence and were a fine example of a master at work. Liam finally succumbed to the boys’ pleadings and agreed to take charge of these young minors. Things quickly began to happen. His first year in charge saw Blayney win the minor championship. The following year he managed Blayney minors to the “Double” of League and championship and the following year Blayney clinched a third minor title once again doing the proverbial “ Double”. By 1960 Liam was back heavily involved in the club having taken over as chairman in January of that year. But the young minors of the previous couple of year were maturing into senior players and out of these little acorns mighty oaks would grow. 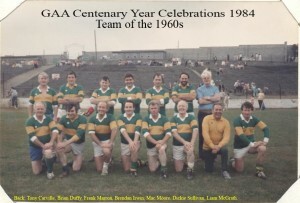 They would go on to form the backbone of the illustrious Faughs senior teams which would dominate senior championship football in Co Monaghan through the 1960s and 1970s culminating in winning the elusive Five In A Row between 1963 and 1967. This was the beginning of a golden era and the Liam Mac era when McGrath reigned supreme and his charges captured every title set before them. 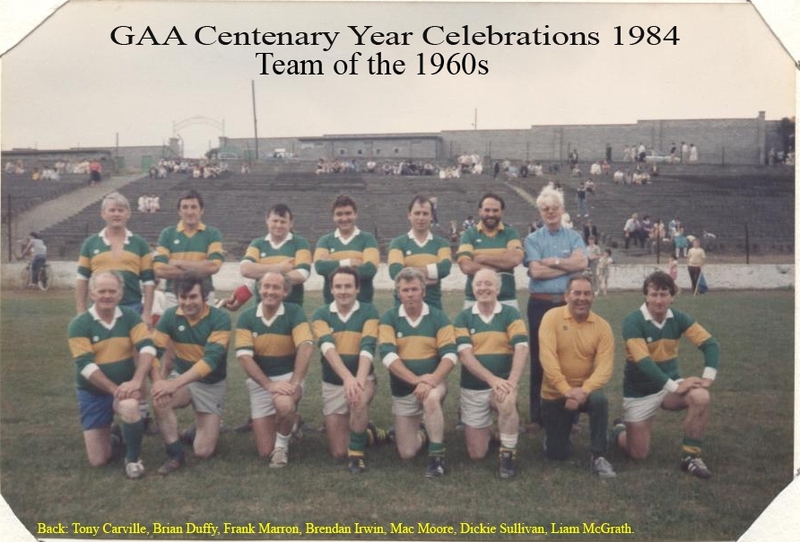 Blayney had not won a senior title since 1946 and seventeen lean years were to follow until McGrath stepped up to the plate and re-instilled and reinvigorated in his team that spirit and will to win which had been so prevalent in previous decades. He reconnected them with their proud heritage a heritage with which he was so familiar and of which he was so conscious. But he brought to the table more than his management and coaching ability. He brought his own inimitable and indomitable personality and a sense of awe to the players under his management. He became a man for whom the players wanted to play and for whom they also wanted to win. He evoked their respect and their loyalty and he engendered within them a drive and determination which saw them through the many challenges that the years ahead would throw up. He was a motivational speaker long before the term was invented and his pre-match speeches in dressing room were legendary. When “Big McGrath” shouted “shut that door” a silence descended on the room and hushed tones were the order of the day as all stood up and listened. His charges remained spellbound and hung on his every word. He reminded players of the mantle they had inherited and now carried when they wore the Green and Gold. He reminded them of the honour it was to be among the chosen few, he reminded them of their responsibilities and obligations that came with that mantle and he reminded them too that when they lined out in those proud colours there were expectations and expectations that had to be fulfilled. His oratorical skills combined with his passion and unique voice all blended together to make for a high tempo atmosphere and a determination to go as many extra miles as was required to win. To do less was to incur the wrath of a manager who expected from his players what he saw was necessary to reach their potential and that was never less than one hundred per cent. His dictum was “get flung in or get slung out” there was no room for indecision or shyness in whatever guise it may come. Indeed many of his players would become lifetime friends. 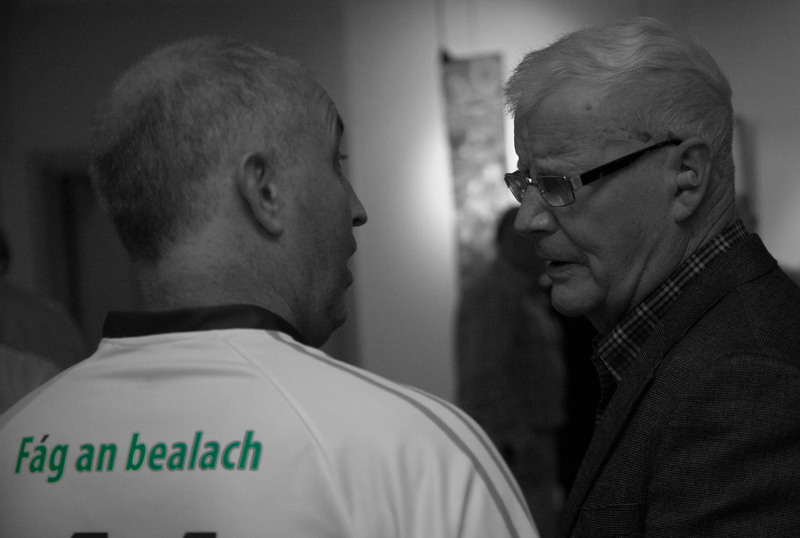 None more so than legendary Faughs and Monaghan player Nudie Hughes. In recent years Nudie arranged many get-togethers with former players and old friends and Liam enjoyed these as he held court and regaled great Faughs deeds by great Faughs men and no Faughs player was he more proud of than his late brother Charlie who had a distinguished playing career with Blayney, Monaghan and Ulster. Liam had that special gift given to few leaders – players wanted to do it for him as well as the club. They wanted to earn his respect as well as giving him theirs’. The line between doing for Liam Mac and doing it for the club was a very fine one indeed. He was an important figure in the lives of many of his charges. He was a role model and father figure all in one. He had a charisma that marked him out among men with his imposing physical presence, his oratorical ability, his unique booming voice and his indomitable spirit. finals thus creating the extraordinary record of contesting eight county finals in a row. 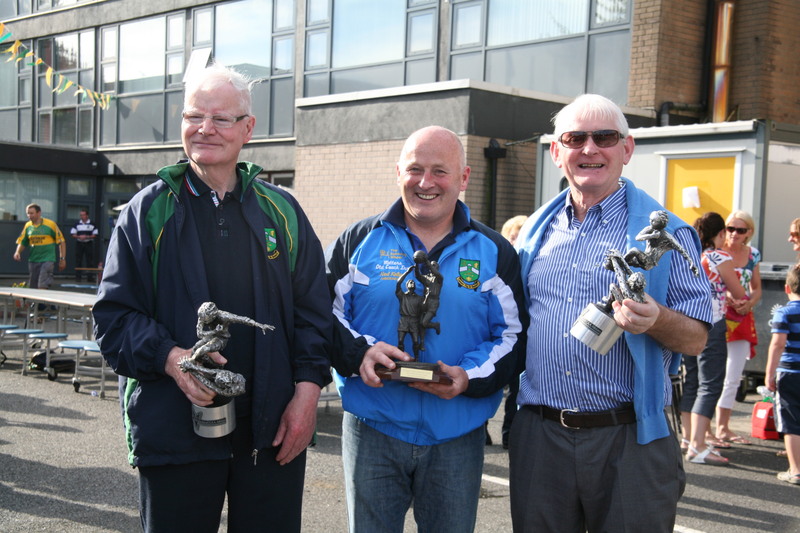 His years in charge saw the Faughs strut their stuff in Glasgow when at the invitation of fellow Blayney man Tommy Toal they went Clydeside. During their time there they were the honoured guests of Glasgow Celtic FC at a special Gala evening. 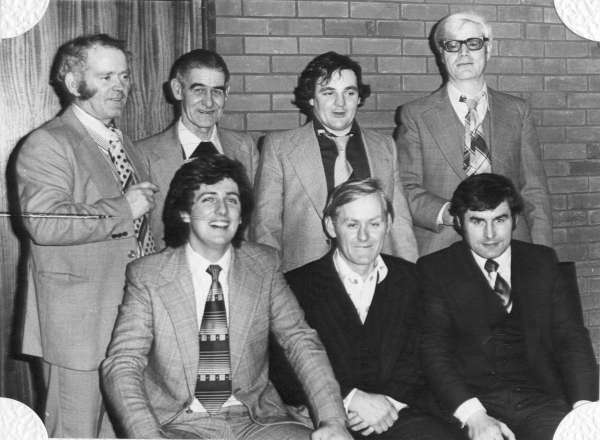 Then in 1973 they went one further when they headed for New York in a special trip organised by Tony Loughman and Pat McDonald. 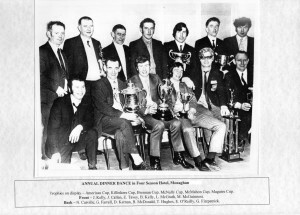 Liam was also fiercely protective of those achievements and when Blayney’s famous five in a row was in danger of being surpassed by Scotstown in 1982 he came back to manage the senior side once more. Blayney defeated Scotstown in the semi final and went on to beat Ballybay in the final to claim their 26th senior title. 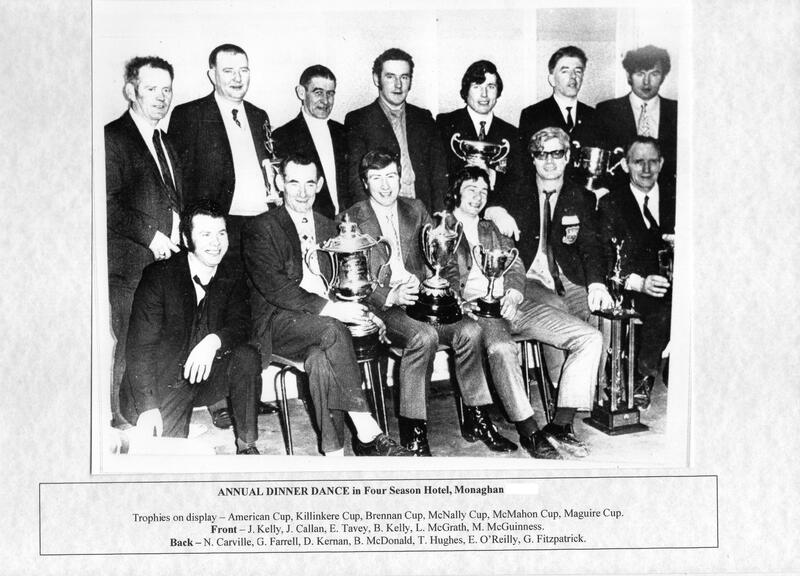 But four years later, 1986, was to be another highlight in his illustrious managerial career when he not only managed Blayney to another senior championship title but went on to win the Ulster Club championship. The first under his management. Then he called it a day. However for all his abilities and achievements he was a shy and unassuming man. He never sought the limelight but accepted it as part of a successful career in football management. He was not a man to be in the forefront of celebrations. He left that to others. He was content with the victory because it was never really about him. It was about the Faughs and he saw himself as just part of that proud tradition and just doing his bit to maintain that illustrious lineage. His preference was to slip away and take his dog for a walk. He was happy to acknowledge the contribution made by others especially long serving club secretary Mickie McGuinness and team masseur Gerry Farrell. He recognised the work of the backroom team as well as the players. 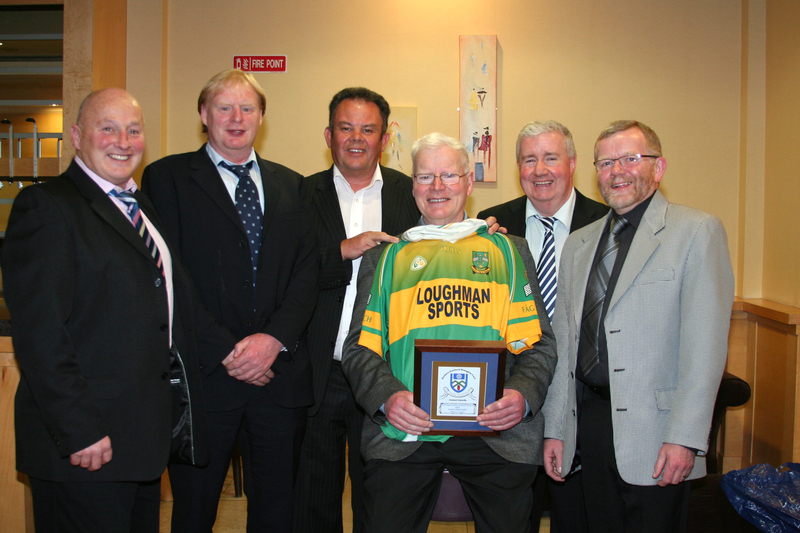 Liam was immensely proud when in 2011 his contribution to the GAA was recognised by Monaghan Co Board as they presented him with a special “Lifetime Achievement Award”. It was the culmination of a very distinguished managerial career and recognition of his contribution to Gaelic football in Co. Monaghan. Outside football he enjoyed playing cards and was a very good poker player. He also had his legal career which he enjoyed immensely. So much so that he spent seventy years at it. He began his legal career when he was sixteen and retired when he was eighty six. Over the last number of year Liam had been called on many times to deliver graveside orations to players whom he had coached as man and boy, many of whom he often said had passed away too soon and too young. It was therefore fitting that at his own interment that the graveside oration should be delivered by a former Faughs player and now Ard Stiúrthóir of the GAA Paraic Duffy, another accolade that Liam no doubt would have been proud of. The Castleblayney Faughs would like to sincerely thank Joe Hanratty for putting together this very fitting tribute to the Great Liam Mac, we think the man himself would have approved.